It’s not a secret that we (Daryl, Mikel, and Colin) learn by reading. In every newsletter we highlight the current book each of us is reading. We’ve joked that LEV is actually a book club that just happens to buy businesses. We’ve handed out many books over the last couple years. So we decided to formalize it, a bit. Below are books we recommend reading in 2019 as part of the Little Engine Ventures Book Club. There’s no cost to join the book club. You can start with any book you want. Even better, let’s have a meeting and we’ll follow up with our recommendation. After you read the book we send you, you can keep it in your library, pass it along to someone else, or give it back to us and get another book from the list to read. 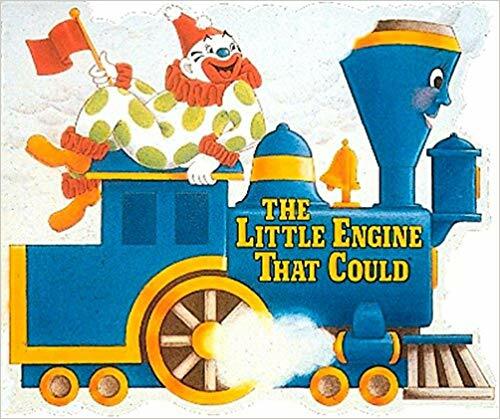 And no Little Engine Ventures Book Club would be complete without our namesake: The Little Engine That Could by Watty Piper. A classic tale of optimism and hard work. This entry was posted in Founders, Guiding Principles. Bookmark the permalink. ← Different. Right. Boring. Crazy.